I’m not sure how summer Sunday closures began, but until recently the schedule was prevalent in public libraries all over the United States. I suspect it was based on library usage dropping off in the summer, when students aren’t working on assignments. But library usage—which means access to entertainment, information, and quiet space—is no longer seasonal. Today’s busy families and professionals want to visit the library when it fits their schedules, and Sunday is often the best day for many. 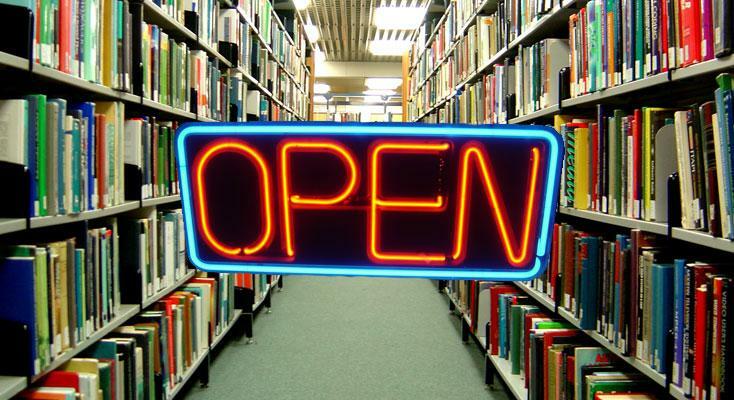 To meet that need, our Cook Park and Aspen Drive Libraries will be open Sunday afternoons year-round, unless there’s a holiday. Funds from the FY2016 budget have been identified to make this change without requiring any reductions to existing services, personnel, or materials. This schedule change kicks off the implementation of our 3-Year Strategic Plan, which includes the goal of enhancing convenience for our patrons. We’ll be working on other ways to make library usage more convenient in the coming months, so stay tuned to The Scoop for further developments. June 18, 2015 in The Scoop.